By adding to your cart, you are acknowledging that you are purchasing a digital download and no paper pattern will be provided. Create faux-piecing with the creative use of the fat quarter panels. Spice it up with simple circles that are easy to applique because there isn't a seam under them! By using an additional panel on the back, you'll see why we love Dottie! You can start on this project right away, as it's a DIGITAL DOWNLOAD. Please be sure to download and save to your computer appropriately, as limited downloads are allowed. 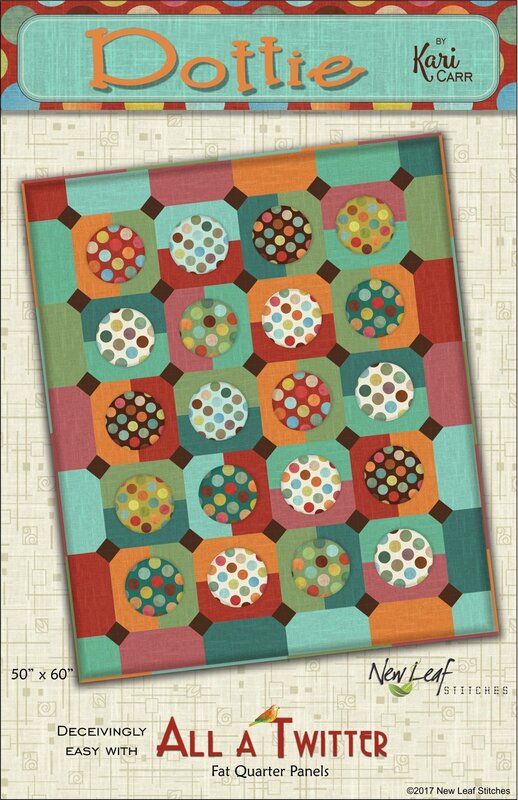 You may also order Dottie as part of the print Pattern Due III.